Hurray! The Magic School Bus is back on the road. (And in the air. And under the sea. Why stick to the road, after all?) And in this exciting story, it’s taking a very unusual route: heading back millions of years in time! Ms Frizzle’s pupils are creating a time capsule. Tim wants to put in a self-written comic book. He’s just not sure what to write about. But when the Magic School Bus takes the class on a time-travelling trip to explore the incredible rock cycle, Tim gets an idea. 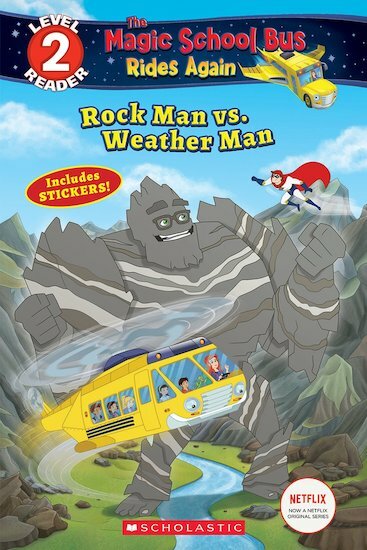 It’s the epic battle between Captain Rockman vs. Weatherman. Who will win? Find out inside!